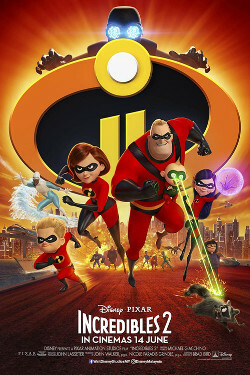 With Elastigirl out fighting crimes, the Parr family struggles to maintain a normal life as this means Mr. Incredible will have to stay home to take care of their just as super-powered children. They soon discover that the youngest, Jack-Jack, has secret powers. The Parr family, along with Frozone, also has to battle a new villain, The Underminer.